Posted on 13 October 2011 by Liza Mae V.
In my previous review about Instagram for Beginners I discussed the basic info about Instagram and my likes and dislikes. Since then Instagram has launched a new update which has taken on a new look which I will review and also show you how to get more likes, comments, and followers. Preset borders with filters are now optional – Though this is an improvement from the previous version, you still can’t use any border with a filter. 2 filters removed – Gothem & Apollo, good choice for those are filters that were specific and personally I didn’t use often. I’m glad Instagram developers are paying attention. Editing screen is all in one – There is no need to jump from the tilt-shift screen then back to the filter screen. It can all be done in one shot. Get noticed, use hash tags # – If you are a Tumblr or Twitter user, you can post tags by inserting hash tags like #iphoneography #photo, etc. 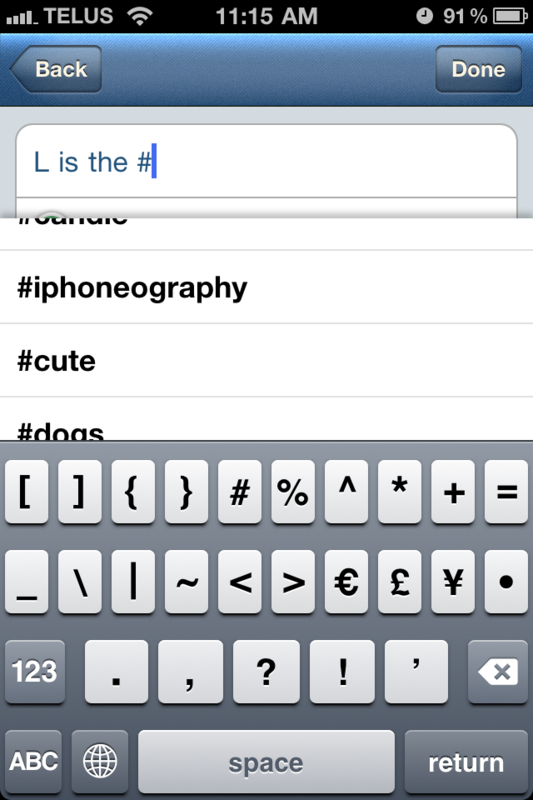 Hash tags that you previously used will appear. 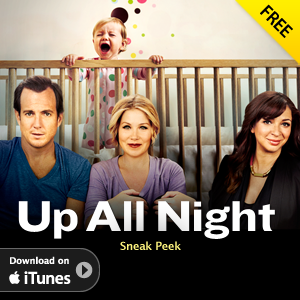 The only thing I don’t like about this feature on tumblr is that it adds the hash tag it to the description. I wish instagram removed the hash tags in tumblr. Get personal and reply to your comments – If you want to respond personally to comments on your instagram feed, write @username, just like Twitter. When you put @, instagram propagates your contact list, making it easy to search for the person you are replying to. Instagram is NOT like facebook where it will send you a notification if someone commented on a photo. Take picture with the Camera app – The problem with taking pictures with instagram is that the maximum resolution it saves images is 612×612 pixels. If you want to do more with the photos, like print, edit, create a desktop image, resolution will get lost. I usually use Camera+​ to take all my photos. Use the filters, borders, or tilt shift to take pictures – If you are taking the photo with instagram, there is an option on Instagram to take the picture with filters, borders, and tilt shift and what’s good about it is that it isn’t permanent. 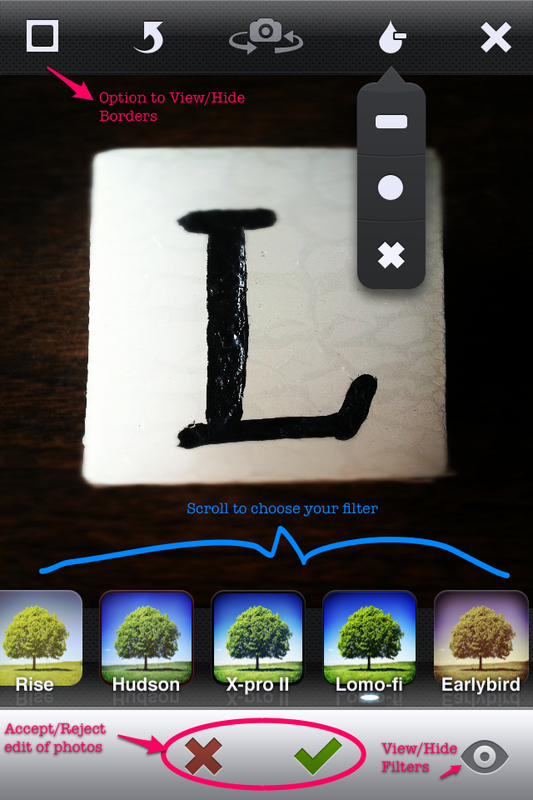 That’s right, you can change the filters even though you used a certain filter to take the photo. 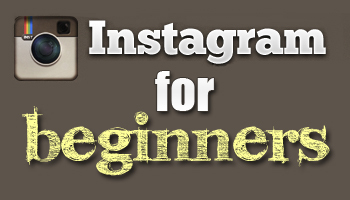 For more info about Instagram please read the guide below – Instagram for Beginners. Find me on Instagram by searching for LuxaVision.